Grilling outdoors has been done since the earliest days of man. We grill outdoors with our family and close friends. We come together to socialize, laugh, and share stories while enjoying a grilled meal. At BBQ Concepts, we make grilling and cooking outdoors a memorable experience for you and your loved ones. We enable you to host your parties in style with our custom designs, our huge selection of professional outdoor cooking & grilling components, and amazing BBQ Island features. It’s no wonder why Las Vegas is choosing BBQ Concepts for all their custom outdoor kitchen manufacturing and outdoor living area design. We’re Las Vegas, Nevada’s premier manufacturer of truly cutting edge outdoor kitchen designs. If you can dream, we can build it. Whether you’re looking for a traditional straight frame BBQ Island design or Split-Level configuration with an elegant bar height counter-top. We’re the custom outdoor kitchen manufacturer who can deliver. Unlike our competition, we deliver our custom BBQ Island designs on time, to specification, and within the agreed upon budget. Our team is dynamic when it comes to our custom outdoor kitchen creations. We pay attention to the finest of details while keeping the overall project in mind. Our experience and expertise will be found in all of our custom outdoor living projects. 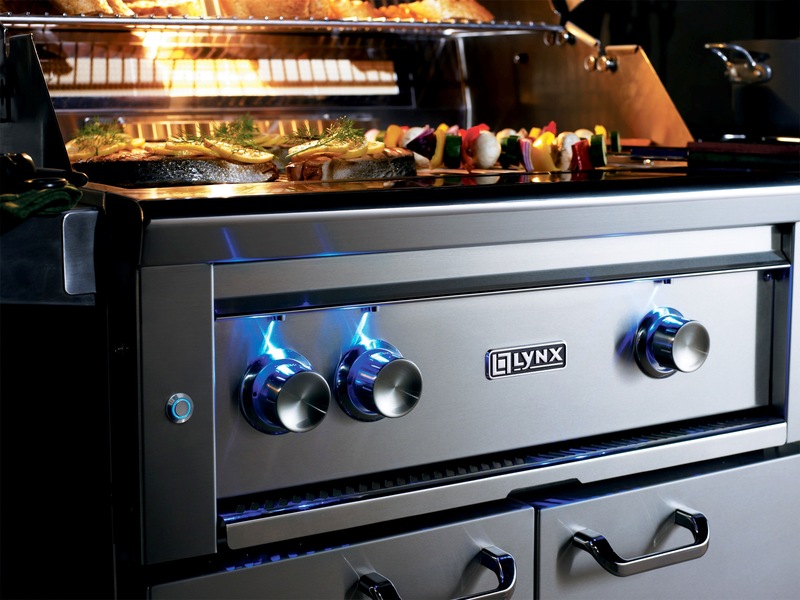 What Exactly Is An Outdoor Kitchen or BBQ Island? Hopefully, this helps out all of our newcomers to the wonderful world of outdoor cooking. Outdoor Kitchen and BBQ Island can be used interchangeably. These labels apply and are used when referring to any type of structural cabinetry that is built to contain any type of outdoor cooking and/or grilling components. The word outdoor kitchen is sometimes used to encompass more than just the Barbecue Island (Island Cabinetry Structure). It often refers to any other outdoor living furniture, fire features, dining tables, and bars. Which can also be referred to as the outdoor living space. The pros here at BBQ Concepts are here to help you design this type of area. Outdoor Kitchens are still a fairly new concept though. At least at the customized level, they stand at now. In the last few decades, they have truly evolved into a full-fledged, sub-industry of the construction field. There are now more cooking and grilling options than ever before. Here at BBQ Concepts, we assist our customers in the planning, designing, and the manufacturing of these outdoor kitchen structures. We’re also a retailer of all the stainless-steel accessories and grilling components. So, if you’re ready to start your custom outdoor kitchen build, give us a call today. For a custom outdoor kitchen consultation, the experts at BBQ Concepts are here to assist you with all your outdoor living needs. Call today to schedule an on-site consultation.